Really stoked to get to work with such amazing people in the field of Geometric design. Corey Divine is an amazing designer and Tattoo Artist in San Francisco. 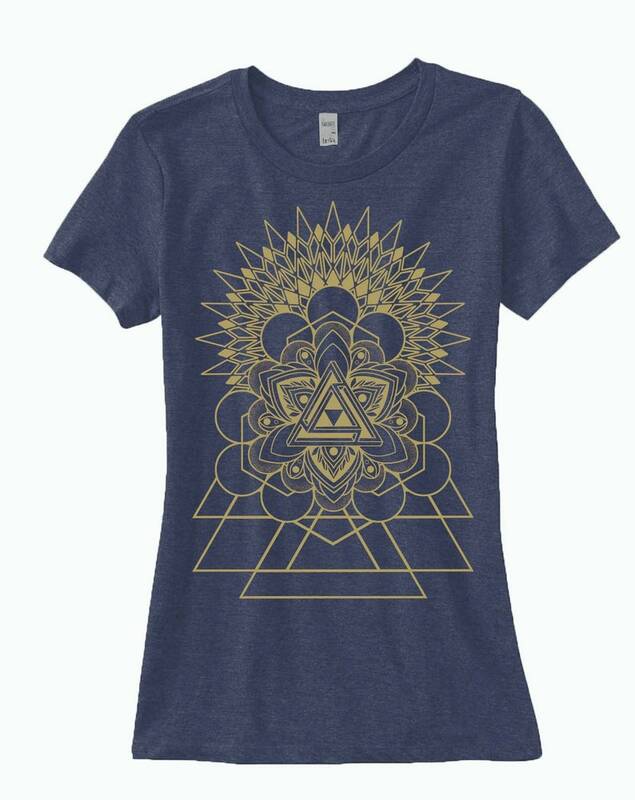 On this one, we used Corey's interpretation of the Penrose Triangle and stacked and overlapped our mandalas and geometries to come up with the Triforce. Great shirt! Speedy delivery too!